“L'Ambassade” is located in a 19th century building. 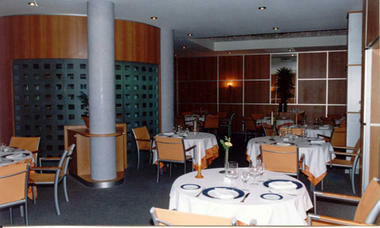 From the Art Deco-style dining room you can see the kitchen team at work through the picture window. There is a large Béziers table with a wonderful range of regional wines. 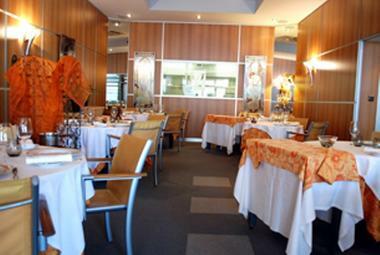 The cuisine, which changes with the seasons, is prepared using regional produce. Specialities include: Poivrade Artichokes, Lightly Poached Goujonnettes of Sole, à la Barigoule with Olive Oil and Little Cuttlefish on Cod Brandade – Delicate Chestnut and Pardailhan Mash, Breton Scallops à la Plancha, with Truffle and Balsamic Oil – Roast Lamb Sweetbread, Sylvestre Risotto and Creamy Chicken. Un pure régal, un très bon accueil, une qualité dans les vins qui ont accompagné le repas, un service exemplaire, des saveurs et mélanges que le chef Mr Orli nous offre et qui nous réveille les papilles.